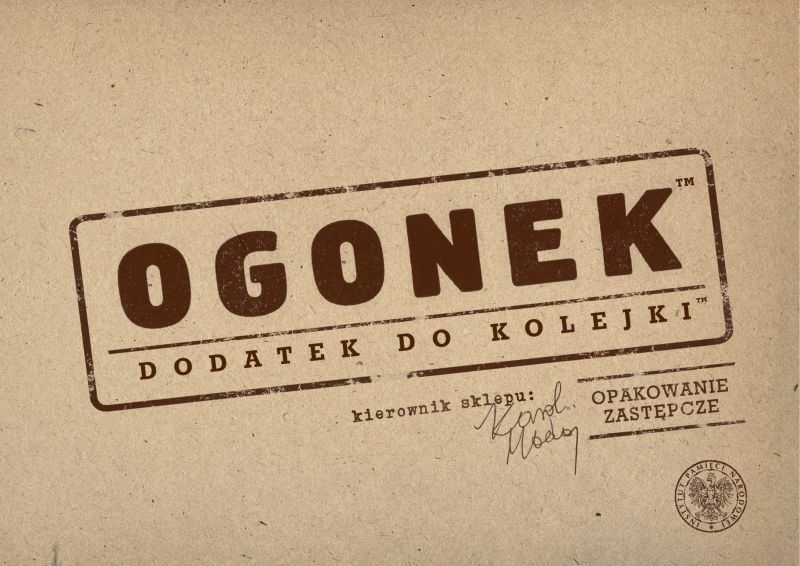 Ogonek (which means ‘Line’) is the expansion for one of my favourite games Kolejka (meaning ‘Queue). Kolejka is a game where players are queuing for goods at shops in 1980’s Poland. As crazy as it sounds, it’s a superb game and a very historical theme. For more details on Kolejka see my full review. Ogonek adds a few new elements to the game. One item is that it adds the potential for a 6th player (as Kolejka is 2-5 players) which is a welcome addition. Having 6 players adds a bit more chaos into proceedings than with fewer players as more things can happen to your plans between your turns. 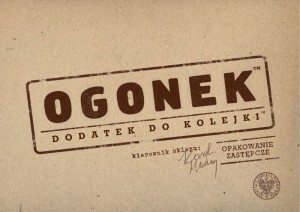 Ogonek adds alcohol as a new item. Rather than having to queue at shops for this, players can place one of their queuers on one of the available alcohol goods cards at the side of the board. At the end of the round, the player receives the alcohol (so it’s not usable in the round they obtain it). Alcohol can be used to bribe the speculators (the neutral queuers that get in the way) which allows the player to swap places with them in the same queue. Alcohol can also be used as a substitute item when swapping goods at the market. So, alcohol is useful but too powerful.